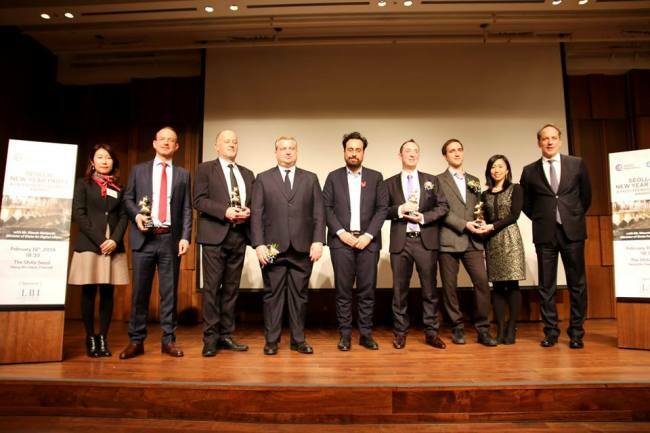 The French Korean Chamber of Commerce and Industry hosted the inaugural French Business Awards 2019 ceremony to recognize companies that contributed to bilateral economic relations. Targeting French business members of the Chamber of Commerce, the event was designed to evaluate companies’ performances and innovation, according to the business network in Seoul. During the ceremony held at Shilla Hotel on Feb. 19, French Minister for Digital Affairs Mounir Mahjoubi gave a speech and delivered awards to the winners. Companies were assessed on their track record in Korea, plans for future projects and strategies to overcome possible difficulties in the Korean market, among other areas. Thales Korea received an award in the category of product and service of the year. Headed by Patrick Defranoux, the multinational company, which specializes in defense, transportation, security and aerospace, impressed the jury with its solution for secure payments on smartphones. France Gourmet, established in 2013 in Korea, won the Entrepreneur Award in recognition of its successful strategy in overcoming the challenges of a foreign entrepreneur in the Korea agribusiness. “The company showed remarkable performance in developing the French ‘art de vivre’ in Korea, offering high-end traditional and artisanal delicatessen and catering services well established in the French-Korean community,” the FKCCI said. The second winner of the Entrepreneur Award was Adriel.AI, represented by Sophie Eom and Olivier Duchenne. Adriel.AI specializes in AI-based digital marketing solutions and consulting services. 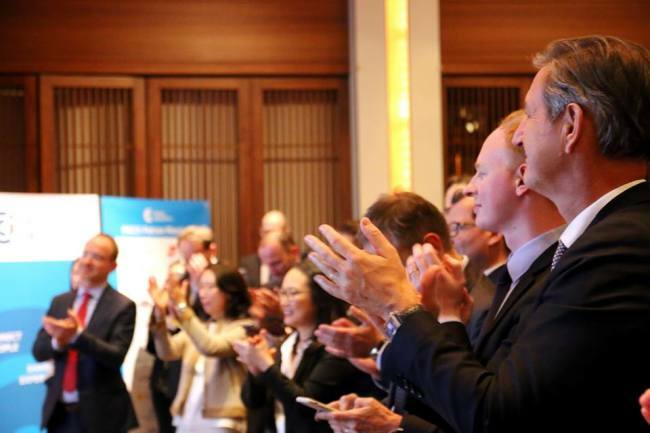 Bollore Logistics Korea won an award in the corporate social responsibility category. Represented by Thibault Janssens, Bollore Logistics is a global leader in international transport and logistics. “The jury was impressed by the diversity and the number of actions in relation to the environment and efforts to tackle social issues tailored especially to Korean society,” the FKCCI said. Its contributions to the campaign against breast cancer and to urban farming through its beehive structure, called “Honey Factory,” in Seoul were exemplary actions inspiring to the business community, the jury said.